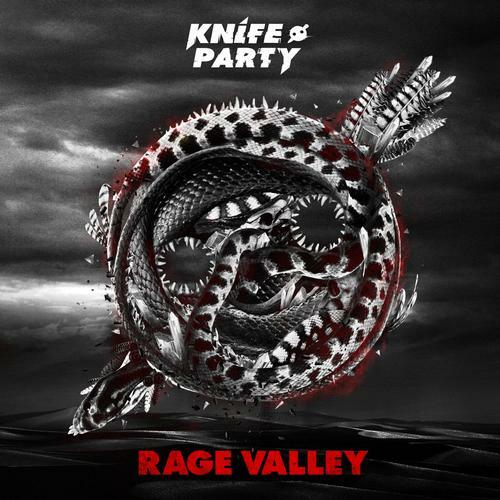 Rage Valley is the second EP released by duo Rob Swire and Gareth McGrillen of Pendulum fame, performing under the moniker Knife Party. Consisting of 4 songs and clocking in at a little over 18 minutes, the duo manages to seamlessly fuse dubstep and electro house into a condensed, yet remarkably diverse listening experience that ends with Sleaze, showcasing the newly emerging fusion genre Moombahton (a combination of reggaeton and house music). The eponymous track greets you with a sample of a gun being cocked and fired, which queues the song to jump into life. Starting out as a minute long frantic build up, it anticlimactically stops and begins to rebuild itself again more rapidly for about thirty seconds before unleashing aggressive bass lines and thundering percussion. It eventually calms down to introduce a more prominent synthesiser sound before reverting back into the bass heavy parts. Continuing in this fashion for the remainder of track, it sets the mood of the EP quite clearly. Vocals are sparsely arranged throughout the track Rage Valley and build in frequency as the EP progresses. The documentary-like introduction to Centipede is noteworthy for referencing the Pendulum song Tarantula and metaphorically killing the band off when stating “as quick as lightning, just like the tarantula it’s killing, the centipede has two curved hollow fangs which inject paralysing venom. Even tarantulas aren’t immune from an ambush”. This is before dropping into an unrelenting dubstep frenzy that makes up the remainder of the song. The latter two tracks, Bonfire and Sleaze, feature repetitive choruses but the line “until they kick us out” from Sleaze is repeated ad nauseum and could be the considered the low point of the EP just for the sheer frequency at which it is repeated. It will also make you forget about the well-crafted and tense, crawling introduction in no time at all. Bonfire, in contrast, sounds like a complete redux of Fire Hive (from their first EP 100% No Modern Talking), having toned down the bass, added a larger instrumental break between the minimalist lyrics and features a trumpet and a reggae inspired rhythm that has been brought to the forefront of the song, setting it apart from the rest of the EP and making it instantly recognisable. In short, the lyrics are still something to be desired but Rage Valley showcases better song writing and a refined edge that 100% No Modern Talking lacks. 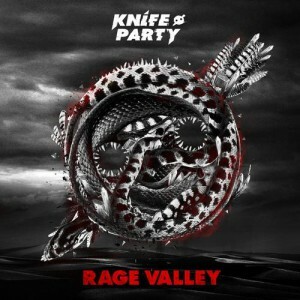 If comparing the direction of the two EP’s is anything to go by, future output from Knife Party will be well worth the listen as they continue to change their sound and push forward into new territory.